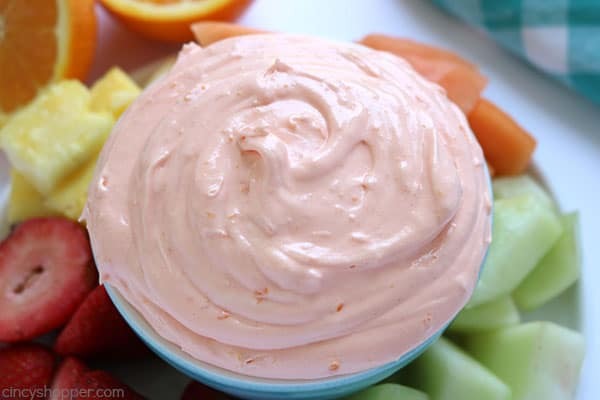 This Orange Creamsicle Dip is so refreshing! It goes so well with just about any fruit. Great summer appetizer. Serve it at the pool or for your next summer bbq! 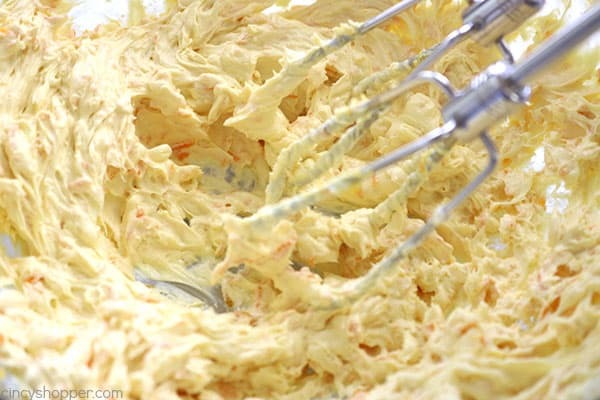 If you have ever tasted an Orange Creamsicle and liked it, you will love this orange dip. 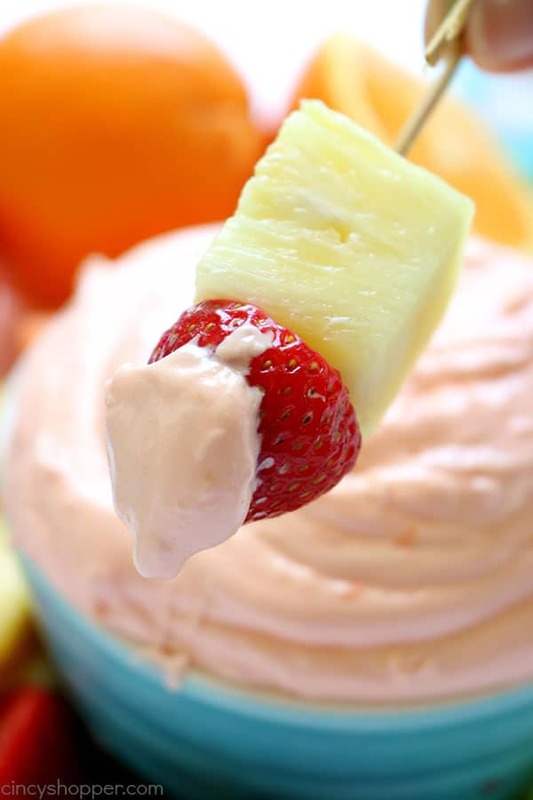 I like to dip pineapple chunks and strawberries. But… just about any fruit will be perfect for dipping in this deliciousness. 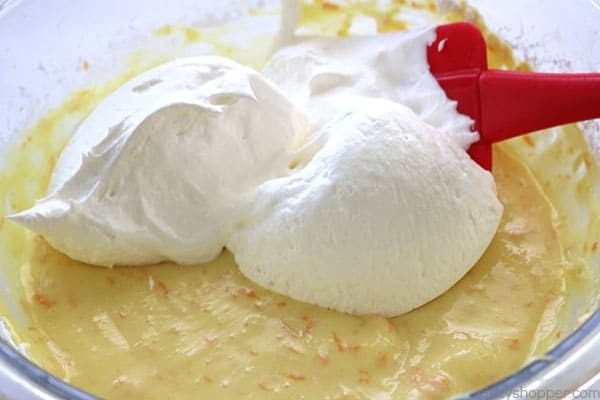 A few weeks ago, I shared our No Bake Orange Creamsicle Cheesecake with you here on the blog. It was so popular with my family and has become very popular on Pinterest and Facebook. I was needing a quick snack to make this past week because my kiddos were having some friends over to swim. I usually have something for them to munch when they have friends over. 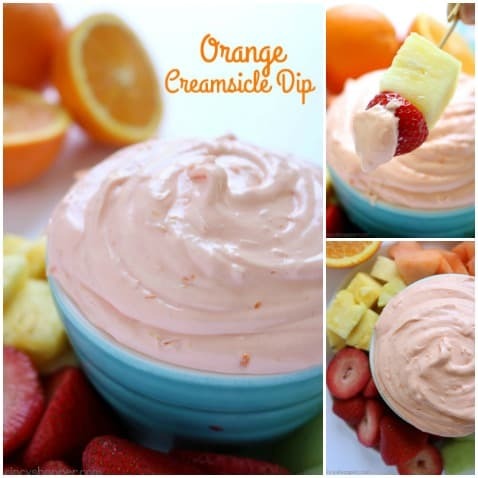 Since I had some fruit on hand, I decided to make them this Easy Orange Creamsicle Dip. 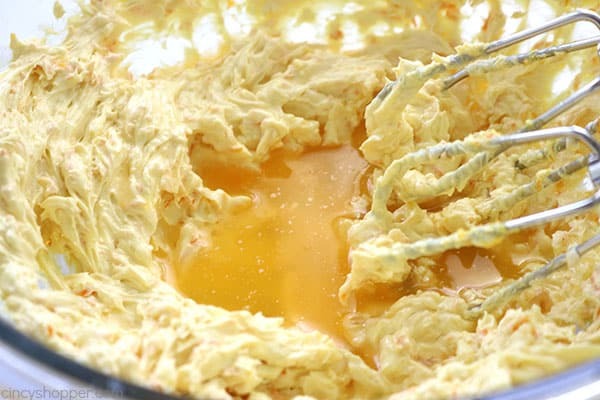 Since the dip only requires a few ingredients and comes together in just a couple minutes time, it was perfect to make when I am pressed for time. 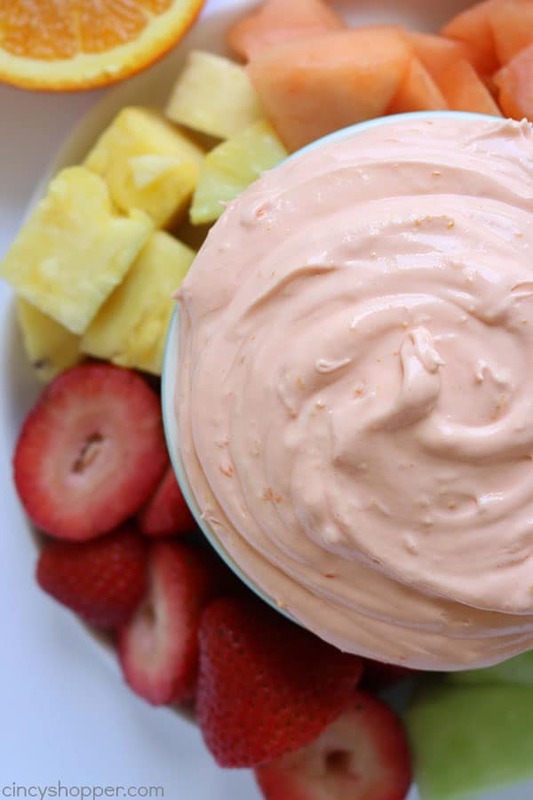 It’s almost as easy as our Pineapple Fruit Dip I shared quite some time ago. Light refreshing dips are always great to serve when the warm weather hits. We find them perfect on a swim day. Heavy foods just are not as appealing when the sun is beating down. I usually serve this dip with an assortment of fruit but my kiddos like to dip Nilla Wafers in it too. They like the vanilla flavor in the cookie combined with the orange and cream in the dip. YUMMY! 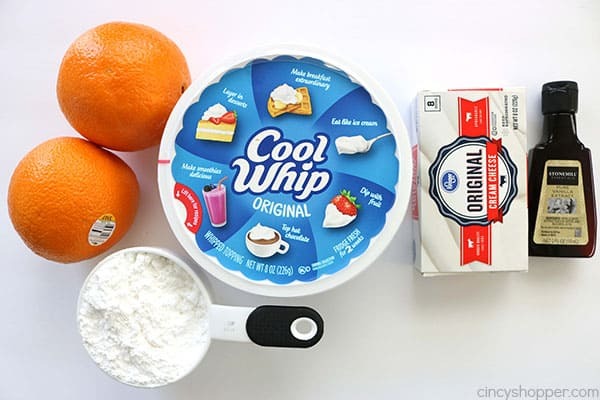 To make Orange Creamsicle Dip, you will need cream cheese, a couple of oranges, powdered sugar, Cool Whip, and vanilla. It’s super simple to make. Plus if you happen to have any leftovers, you can cover and refrigerate. Beat Cream Cheese, gradually adding powdered sugar until fluffy. 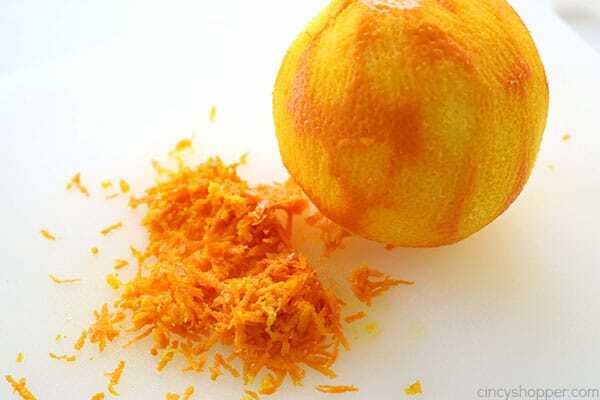 Add Orange zest and vanilla to mixture and beat until blended. Juice oranges and add juice to mixture. Fold in Cool Whip and serve. 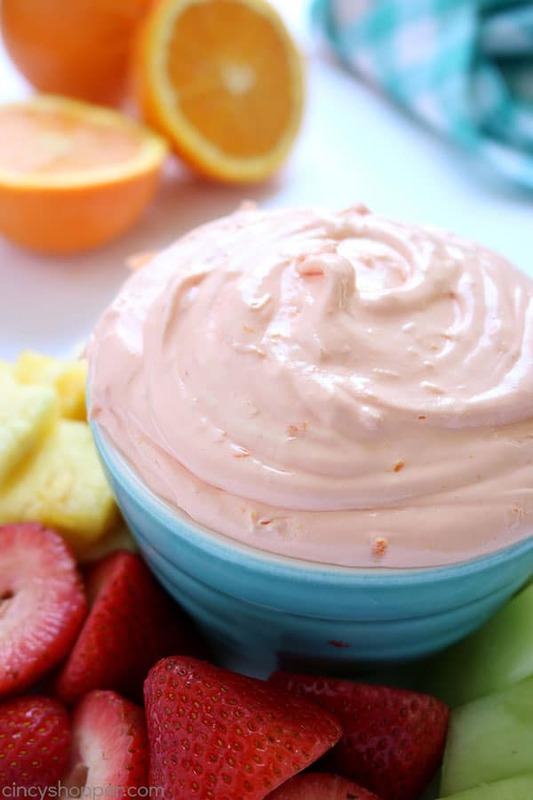 Do you have a favorite summer fruit dip? This looks delicious! Thanks you for the recipe. My sisters & I made the Mo Bake Orange Creamsicle Cheesecake. OMG!!! DELICIOUS! Thank you for my new summer desert! Do you have a recipe for a dip made with strawberries? 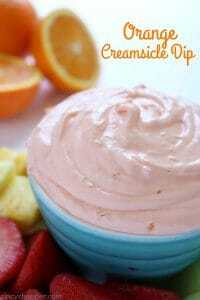 I love this orange creamsicle dip. I can’t believe that I had not thought of it before. Thank you for sharing at Waste Not Wednesday.